It is the start of the end of the low levels of access to effective care and treatments for so many people who live their lives in distress and despair. It is an indication of a society, and healthcare system that now recognises that a great deal of mental ill health can be prevented. That access to care at the early stage of illness offers real opportunities for recovery. That our treatments are effective. That people with mental ill health, deserve and benefit from excellent care that enables them to develop their potential, live with hope, and contribute to their communities with the insights gained from the experience of illness and recovery. Mental ill-health is very common. It affects one in four people in the course of their lives. The impacts start early as the onset of mental ill heath often starts in childhood, adolescence and young adulthood. But access to skilled assessment and excellent treatments is limited. The majority go untreated as on average just 30 per cent of those with ill health access care. The questions often posed are: Isn’t most of it caused by poor lifestyle choices? Are rates of treatment so low because there is no evidence for effective treatments? Is it because all mental illnesses are inevitably long term and, as such, a poor investment for taxpayers? The answers to all these ‘myths’ about mental ill health is a resounding, evidence based ‘No’. 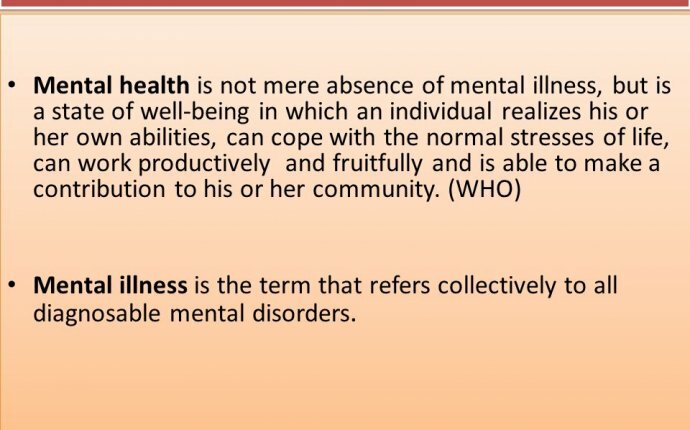 The definition of mental health in the national ‘No Health without Mental Health’ policy is that it is a positive state of mind and body, feeling safe and able to cope, with a sense of connection with people, communities and the wider environment. Levels of mental health are influenced by the conditions people are born into, grow up in, live and work in. In order to address each of the common myths about mental ill health, it is important to examine the wealth of scientific evidence, and listen to the lived experience of those who have developed, lived with and have recovered from mental illness. Mental ill health, like physical ill health, often has its roots in the interaction between the individual’s genetic, biological, neurodevelopmental and other fundamental attributes. Like so many healthcare conditions, it is the complex interaction between the individual and the environment in which she or he grows up, works in, lives in, that can protect against, or trigger, the development of mental illness. For our children and young people, the bed rock to positive mental health is growing up in a stable, secure, loving home, in a safe, supportive community, where parents, family, friends, schools and the community can provide access to the opportunities needed to enable the person to reach their physical health, academic, creative, and positive mental health and resilience potential, and feel a sense of belonging and contribution to their communities. Mental ill health is often triggered by adverse abuse experiences, including physical, emotional and sexual abuse, by bullying at school or by gangs, by a learning environment that does not recognise or support learning difficulties and emotional distress, by a community that does not have a sense of identity that means it can offer a sense of cohesion and opportunity. The opportunities for prevention are therefore great, and increasingly recognised. For adults, employment is a source of good mental health if that environment is supportive. There is a well-established, proven evidence based public health guideline which sets out how positive employment practice can improve both the physically and mentally health of employees and their families, and also productivity, and reduced sickness absence for employers. Mental health treatments are well researched and are successful but, like cancer, diabetes and other common conditions, they work best when there is early identification, diagnosis and treatment. In addition to the lifelong impacts on individuals, the economic costs of failure to provide parity of access for mental health as for physical health conditions is very high and runs into billions of pounds annually. The illnesses do not just disappear. The impacts of lack of prevention and untreated mental ill health reverberate across all agencies and wider society. @peterdaou @verrit And yet the @GOP want unrestricted access to firearms even for those who have mental illnesses. Crazy logic.